Considering purchasing the Gemini CDM3600 CD Player Mixstation? Have questions? Ask people who've recently bought one. Do you own the Gemini CDM3600 CD Player Mixstation? Why not write a review based on your experience with it. wel i gt this a few weeks ago as my first decks n get along with em really wel. only bad point is it doesnt read mp3 disks and sometimes just general cdr disks. jog wheel is very sensitive aswel. An ideal first time Twin CD unit for the budding DJ out there, I have just purchased one of these units for mobile Pub type gigs and as a background player for a larger event we organize. the functions are the usual type you would find on a unit of this budget range, i have found the use of this for mixing was easy to pick up and the sensitivity of the jog wheels is very responsive, maybe a little too responsive in some cases (after a couple to drink). The 'Reloop' function and the 'IN' 'OUT' function is not all that great as when you hit either of the buttons there is a pause before continuing back into the track at the end of the reloop point, otherwise a great unit good sound quality and would reccomend to any mobile DJ or Budding DJ just starting out with CD's. Strong Build Quality as well. 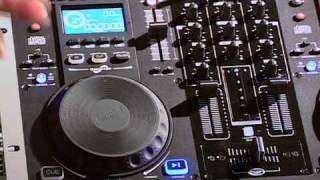 Seen a video for Gemini CDM3600 CD Player Mixstation online or have you own video? 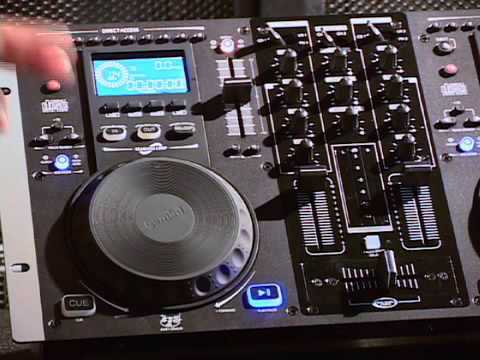 Check out Gemini CDM3600 CD Player Mixstation on DJkit.com!